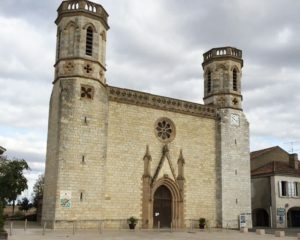 Valence-sur-Baise is a bastide town, founded in 1274 on the banks of the Baise river in the Gers department in the Midi-Pyrenees region. The main part of town is centered around the church and central square, but Valence also has a river port. The town was originally surrounded by eight meter high ramparts with four large stone gateways. Sections of the ramparts still exist along with one of the gates, the Porte d’Espagne also known as the ‘hedgehog’. The ramparts are floodlit on a night making them very pleasant for an evening stroll. Previous PostExploring the Chateau de LavardensNext PostLiving the Good Life!